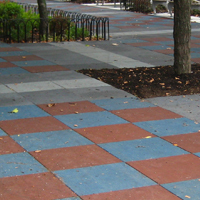 As the nation’s pioneer of non concrete sidewalks, we are the leader of superior, advanced walking pavements. All our products provide safety and comfort, cost savings, and environmental benefits. 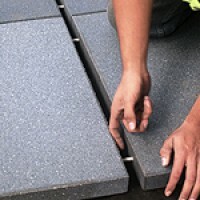 Whatever your pavement need we have the right product for you. 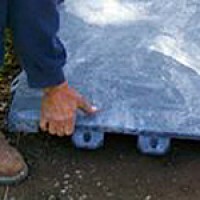 All TERRECON, Inc. products are 100% recycled and recyclable, unbreakable, modular, ADA compliant, and approximately 1/8th the weight of concrete.